Author: Elena Brazee is a third year student studying Environmental Biology at the University of South Florida. She would like to pursue a career in environmental and animal conservation and enjoys outdoor activities such as skiing and mountain biking in her free time. There is a biodiversity crisis. The repercussions of species and habitat loss are everywhere: Animals (giant pandas or bees) and places (coral reefs) are experiencing negative human-related impacts. This means more than just loss of physical beauty; all habitats and species are interconnected, so a loss of something as seemingly small as a bee population will reduce pollination of plants that we eat. There is hope of recovery, but it begins by motivating people to help. As the world is becoming more urbanized and disconnected from nature, where does motivation for environmental conservation and stewardship come from? Prevot et al. (2018) conducted a survey to determine what makes someone motivated to be an environmental steward. The survey focused on many interconnected factors associated with people having more environmental awareness. The questionnaire asked participants to rate themselves on questions relating to these factors including knowledge about biodiversity, connectedness with nature – or caring about the environment – daily pro-biodiversity experiences, and acts of environmental stewardship, like purchasing organic food. Different types of everyday pro-biodiversity experiences that allow people to act as environmental stewards were explored – both explicit and implicit – like participating in nature watch groups, nature citizen science programs, environmental associations, community gardens, and supporting local agriculture. Kids can learn to care, but can adults? As a child, I spent lots of time outside, from climbing trees to growing basil in the back yard. I believe these experienced influenced how I act as an environmental steward today. In Biological Conservation Prévot, Cheval, Raymond, and Cosquer (2018) report children that are connected with nature are not necessarily going to become environmentally conscious adults. Efforts to increase adults’ involvement with nature should be a priority to combat the growing biodiversity crisis. Adults can also grow their connectedness with nature by adopting environmentally friendly practices, or acting as environmental stewards like shopping for seasonal produce only when it is in-season. This promotes biodiversity because produce grown outside of its season can have negative affects on the environment. Some of these negative impacts include the excessive packaging needed to store produce grown outside of its season or the energy put into heating greenhouses to grow these fruits and vegetables. How can we nurture adults to participate? Engaging in nature-based activities as an adult tends to increase connectedness with nature. 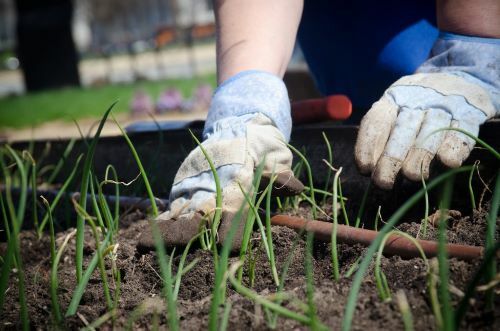 Gardeners making direct contact with nature showed a strong connection with nature by wanting to raise environmental awareness, educate, and promote outdoor experiences (Torres et al. 2017). Any of the studied routine pro-biodiversity experiences increased connectedness with nature, but primarily explicit experiences like nature watch groups or nature citizen science programs, lead to more knowledge about biodiversity compared to the someone not involved in these experiences. Ultimately, the authors found that people who lived in rural rather than urban settings had an increased feeling of connectedness to the natural world, yet people in urban settings had more knowledge about biodiversity. Knowledge about biodiversity can be strengthened through repeated experiences where it is incorporated into real life and supported by others. This may help explain why an increase in pro-biodiversity experiences is related to greater acts of environmental stewardship like composting, which provides habitats for biodiversity within gardens. However, even when participation in nature-based experiences cultivates a desire to act as an environmental steward, it is not always practical or acceptable to do so. Less composting is done in urban settings than in rural ones, which may demonstrate how practices are not only influenced by nature, but also by the social context; it is more socially acceptable and practical to have a compost pile in a rural setting than in a city. Additionally, individuals are more likely to act a certain way not only when it is desirable, but when the resources to do so are available (Ajzen & Dasgupta 2015). Overall, people who act as environmental stewards tend to have more knowledge about biodiversity, greater feelings of connectedness with nature, and more daily experience with nature-based activities. Exposure to hands-on environmental projects, natural landscapes, and green spaces in urban settings like planters in office buildings will allow more opportunities for people to experience nature. This will decrease the disconnect from nature that is often a consequence of urbanization. Having natural areas within cities promotes numerous benefits including cleaner air and water, natural flood protection, and cooler temperatures. Acts of environmental stewardship can be applied in daily life to prevent further biodiversity loss. One of these practices includes planting wild flower beds, which are more biodiverse than vegetable gardens. ← Do Red Snapper Call Decommissioned Oil Rigs Home?